KFN Enterprises LP (KFNE) announced today that its Utility Boxes Wrap project at the Riverview Lands is complete. 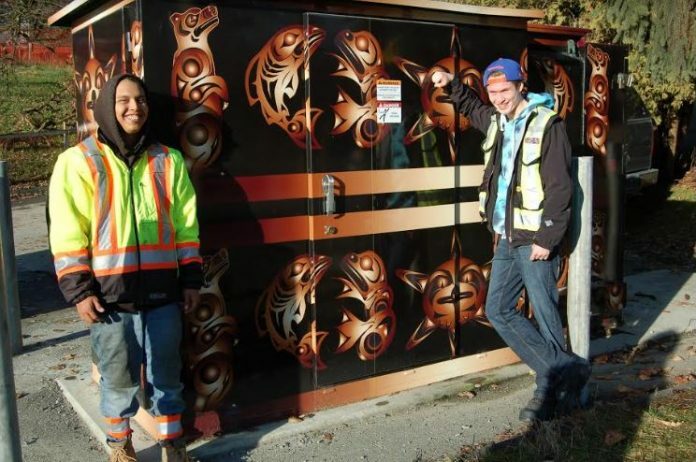 Each of the 11 utility boxes which are part of a new 25-kilometer electrical distribution system is wrapped in a unique Coast Salish are design. The project was a partnership between KFNE and BC Housing which manages the Riverview Lands. 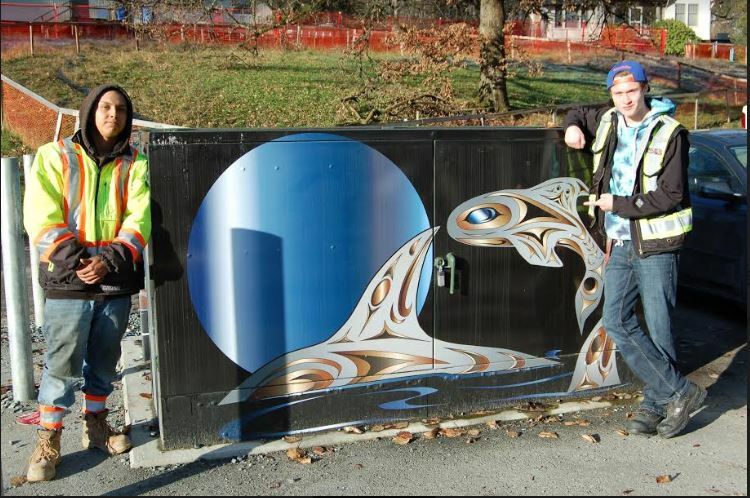 Aleck says several of the other projects currently underway at the Riverview Lands will include Coast Salish art and a sense of KFN history in the Tri-Cities region.